President Jaume Ferrer wishes to report that the Formentera Council has submitted representations concerning the regional government's proposed Decret de Transport Marítim, or “Maritime Transport Act” during the period for public hearings. According to the Council chair, the administration's greatest concern lay in “how the act deals with the issue of regular maritime transport” and maintains an “absolute embrace of its prohibition of single-day organised trips to Formentera”. As part of the appeal, the administration lobbied for an act that includes “guaranteed Formentera-Eivissa ferry connections early in the morning and late at night, a ban on departure time overlap between transport companies and full accessibility for individuals with reduced mobility”. Ferrer also highlights the administration's full support for the proposed ban on so-called excursions turístiques (“tourist excursions”) and confides that “any walking back of previous requests in that direction is not on the table”. In fact, the CiF chair maintained it was “crucial the Maritime Transport Act put an end to the current situation and offer solutions to the issues of overcrowding that plague the island in summer”. “Taking this act forward makes sense”, says the president, “because it tracks with Formentera's own legislation on environmental and financial sustainability which has already received approval in committee”. Ferrer hopes the act will be operational before the close of this legislative term, and applauded the administration of Francina Armengol for honouring a three-year-old commitment —to put in place a system regulating entry and egress— which he described as “indispensable for Formentera”. 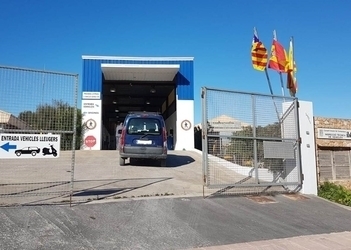 The Formentera Council announces that the island's vehicle inspection service (ITV) will cease operations for the month from Friday December 21 to Friday January 25. The break means time off for staff and a chance to take care of maintenance around the facility. In recent weeks the office has expanded hours and staff have taken on afternoon shifts to cope with high demand and clear names from its wait list. The retooling has pushed employee workload up 25%. When the Formentera Council gathered today for a special plenary session that was both extraordinary and urgent, the assembly voted to forgo review of construction permits corresponding to case number 373/2006 and Punta Na SLU, finding the permits do not present motives for nullification as argued by SUNWAY, SL, in doing so eliminating the need for ex officio review. “Yes” votes came from Gent per Formentera, PSOE and Compromís; PP representatives abstained. 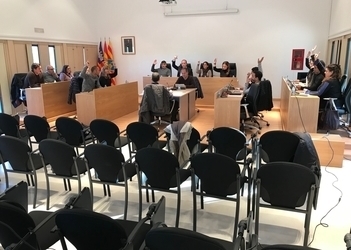 The proposal obtained approval following the Consell Consultiu's November 21 pronouncement ruling out derogation—and consequently additional review—in consideration of three allegations concerning a permit for Punta Na SLU and associated with the request for ex officio scrutiny. According to land councillor Alejandra Ferrer, the three allegations in question—failure to give notice of forum for pertinent representations, failure to conduct a legal review, violation of municipal code regulating single-family units—are untrue. “The Consell Consultatiu found not only that we gave notice and did the legal review, but that the remote single-family dwelling side of regulation was respected as well. So any review of the permit is unnecessary”. Ferrer denounced PP party members for “having tried to cast doubt on the administration's senior councillors ever since the municipal code was passed” by encouraging SUNWAY to “continue pursuing injunctions to separate permits”. The councillor also blasted PP reps' to-and-fro voting, saying it amounted to “changing one's vest just because something a member of the Council says doesn't sit well with you” and calling it “pretty sad”. “Assemblies like this should be moments to vote based on conscience and, particularly, on the reports that are here in advance for us to read”, concluded Ferrer, “not just because one doesn't like what another councillor says”. The president's office of the Formentera Council reports that a basic firefighting course will be held on Formentera December 10-22. 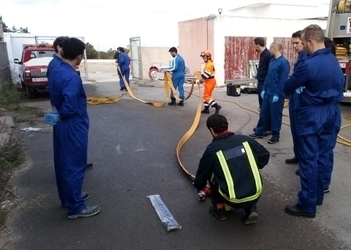 Intended for aspiring firefighters on the island who have successfully completed the selective process and are listed in Formentera's pool of job seekers, the 72-hour course mixes textbook-based and hands-on learning and is tuned for the realities of service needs on the island. Instruction will cover first aid, traffic accidents, hazardous goods, work at height, indoor and outdoor fires, and a control and command module. About 15 students will take part in the course, designed and driven by a nine-person team of healthcare teachers and veteran firefighters from the Emergency Staff company. Formentera will receive 20.7 million euros as part of the Balearic autonomous community's 2019 budget for an increase of 5.6 million, or 37%, on the 2018 figure. The money will come from distinct departments of the regional Govern as well as public sector firms representing the operative arms of the Palma administration. The Govern will set aside more than eight million euros for public investment on the island, up roughly 43% or 2.4 million from this year. As for the funding directed at the Formentera Council, there is another uptick: next year's 9.1 million euros mark an increase of 2.3 million—or 33.1% more than this year. Joined at the budget unveiling by CiF chair Jaume Ferrer and deputy chair/tax office councillor Bartomeu Escandell, Catalina Cladera, who is regional minister of the tax office and the department of public administrations, during the budget: “This administration is working to reinforce the autonomy of the individual island councils and the 2019 budget is a new example of the decentralising impulse marking this legislative term”. Concerning investment, which features a 62.5% uptick from instrumental public sector firms placing the 2019 total at 7.2 million euros, highlights include money for educational infrastructure. 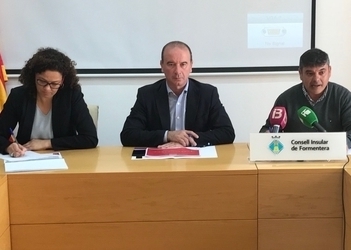 Among the allocations in this area are 5.9 million euros for the Sant Ferran primary school rebuild and 200,000 to conduct an expansion of IES Marc Ferrer high school. The region's 2019 budget also covers projects aimed at upgrading water management. One such effort entails changes at Formentera's seawater desalination plant (third line and reservoir, 500,000 euros) while another features 400,000 euros' worth of conservation work on the waste water treatment plant. The budget also incorporates a brand-new project which enjoys 130,000 euros in funding from the sustainable tourism levy—regulation of moorage at s'Estany des Peix. Another project concerns waste transfer between Formentera and Eivissa (750,000 euros) and yet another a local fund for sustainable mobility (350,000 euros). 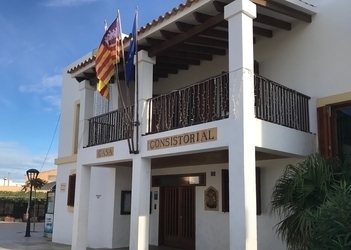 The Formentera Council's deputy chairman highlighted the “climate of collaboration” underpinning relations this legislative term between each administration's tax office. “Fair and sufficient” was how Escandell described the Council's current funding package, which he noted included a three-fold increase on the three million euros the administration got in 2007. He also said his overall assessment of the current legislative term “positive”, explaining “we've managed to succeed on nearly all the fronts we set out to push—better funding for waste transfer, coastal surveillance, a new marine reserve, an irrigation pond and sustainable mobility policy”. Escandell also trumpeted advances during the current term in low-cost housing, as well as investment from the sustainable tourism levy in the form of upgrades in es Pujols and the purchase of Sa Senieta for its future transformation into the headquarters of Formentera's museum. Other hallmarks of collaboration between the two administrations are deals for local-level custodianship of tourism promotion and the Govern's promise to finance 70% of the planned assisted living residence.